Have you guys ever tried Llaollao frozen yoghurt? 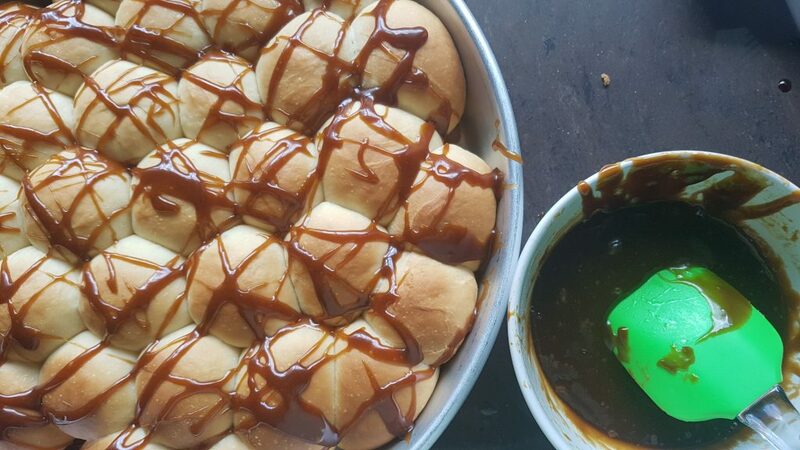 It’s absolutely divine when you have it topped with their signature Lotus caramelized biscuit sauce. Must. Try. Aizat gave me the brilliant idea of stuffing plain roti paung with Lotus Biscoff Spread, which is pretty much the same thing used in Llaollao’s biscuit sauce. The reason I love Llaollao’s froyo so much is because the rich, sweet biscuit sauce went so well with the tangy creaminess of the froyo, so I decided to simulate this wonderful flavor combination by also adding a cube of cream cheese on top of the biscuit spread. While waiting for the rolls to finish baking in the oven, a thought occurred to me. The filling is so fancy, yet the rolls look so plain on the outside. What if I drizzled it with the caramelized biscuit sauce to jazz things up a bit? Since pretty much everything can be found on the internet nowadays, I looked it up and found a recipe by The Cafe Sucre Farine. I cut the recipe by a lot, and subbed with ingredients I had on hand, but the results were quite amazing. 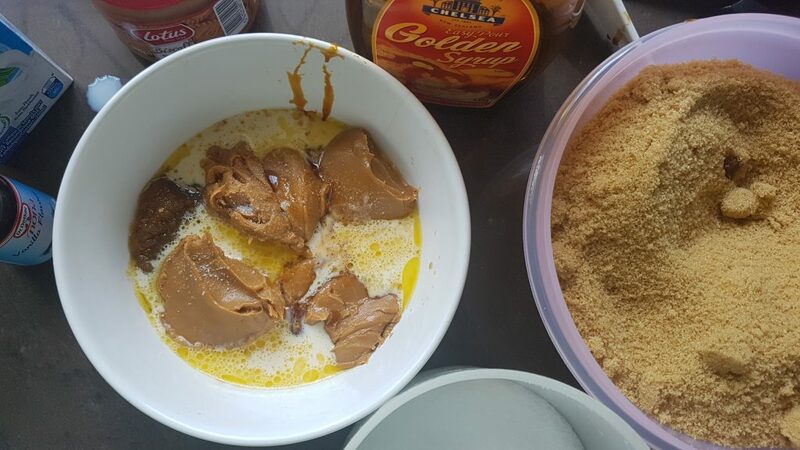 I botched it a bit and heated the Biscoff Spread together with the rest of the ingredients instead of stirring it in at the end, which may have effected its texture, but I’m not sure. Will try to get it right the next time. My original creation: Roti paung with cream cheese and Biscoff spread, drizzled with the caramelized biscuit sauce. 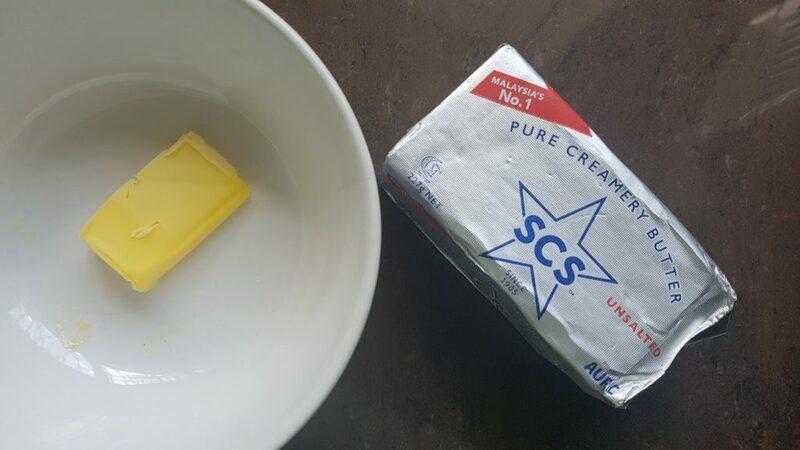 Place butter in a microwave-safe bowl. Heat on high for 30 seconds or until melted. Add the brown sugar, syrup, milk or cream, and salt. Stir to combine. Place the bowl in the microwave and heat on high for 1 minute. The mixture will be bubbling. 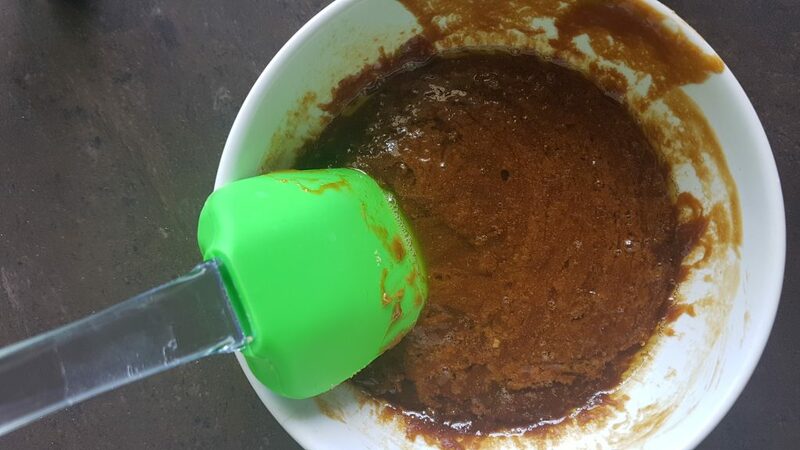 Stir in Biscoff Spread until completely incorporated and smooth. Stir in the vanilla essence. 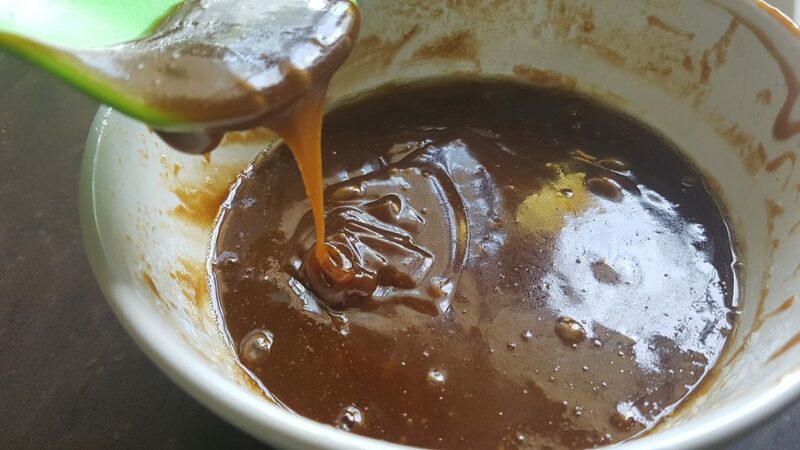 The sauce will thicken a bit as it cools; if it’s too thick just add a bit more milk or cream.